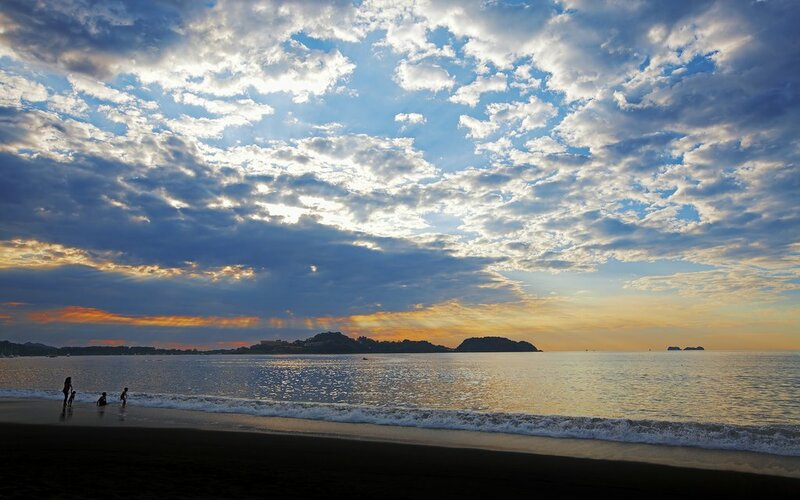 Costa Rica has nearly 300 beaches on the Pacific Ocean and Caribbean Sea. This ruggedly beautiful nation tempts travelers who want to explore white, black, and pink sands, along with water activities and spectacular natural scenery. 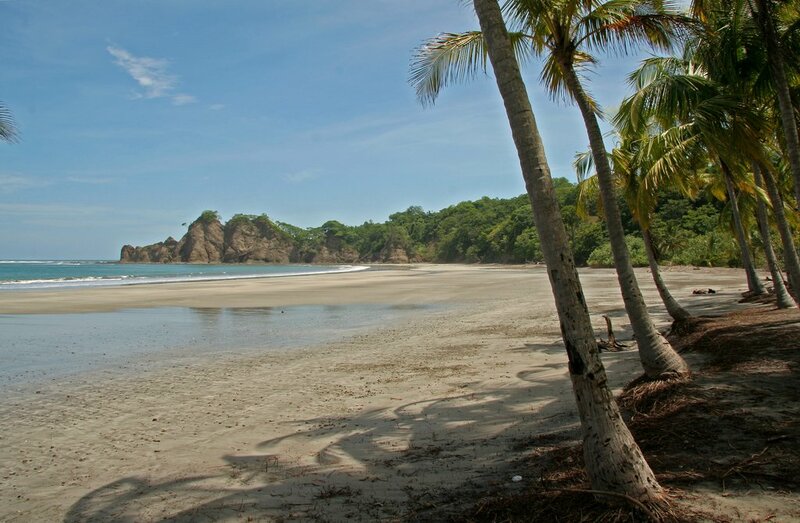 Here is a breakdown of the best beaches in Costa Rica divided by region. Visitors to Costa Rica will likely head to the Pacific Coast for national parks and authentic Latin beach towns, while surfers are drawn to the consistent breaks for some of the best waves in the world. Most travelers may skip over the Caribbean side, but there is plenty to see and do here, too. Those who head east instead of west will be rewarded with African culture, unique wildlife, and vast stretches of turquoise sea. Many beaches are close in proximity, allowing you to travel to a number of sandy spots in one day. Besides the touristy draws, Costa Rica has plenty of remote beaches providing a chance to experience nature on an even more intimate level. It’s best to stick to one or two regions for your trip giving you time to see all that they have to offer. 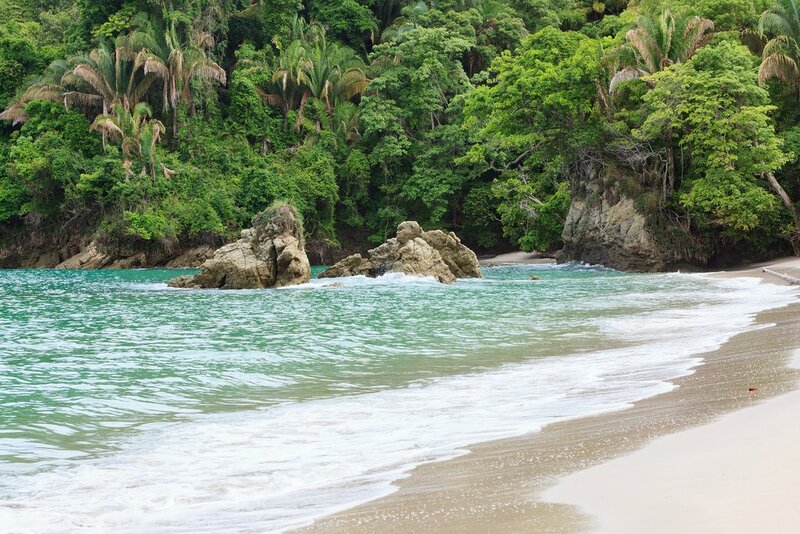 The region’s top draw is Costa Rica’s most visited national park, Manuel Antonio, marked by rolling green rainforests and some of the country’s most swimmable white-sand beaches. This is a no-brainer for first-timers who seek a tropical destination with plenty of wildlife and activities. Playa Manuel Antonio and Playa Espadilla are the main beaches inside the park, but Puerto Escondido and Gemelas -- accessible by hiking trails -- are less crowded and just as beautiful. Further up the coast is one of the country’s foremost surf towns called Playa Jaco. Though it’s popular with tourists, areas of Jaco still feel authentic and provide a great spot for families who want to see their kids get up on a board early (adults, too). A short drive south of Jaco is Playa Hermosa is where the annual Billabong Surf Championships is held. 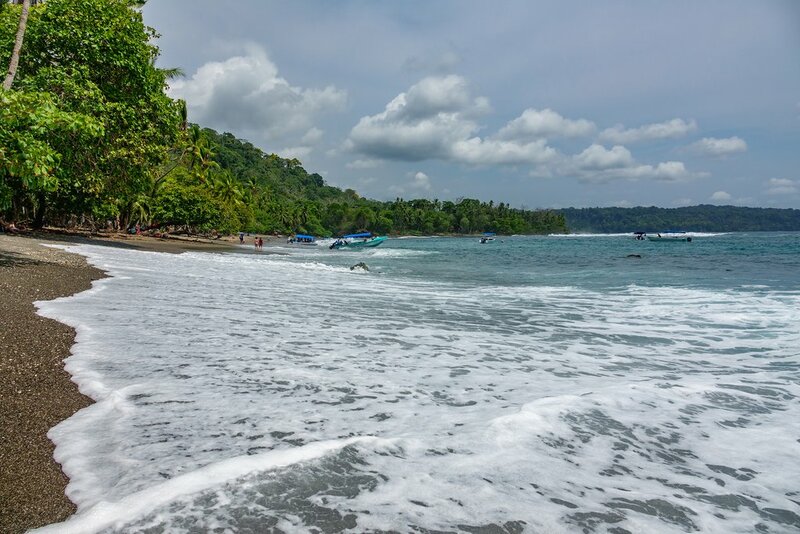 Two relatively unvisited white sand beaches can be found further south in the neighboring towns of Dominical and Uvita, both favored by advanced surfers. Playa Uvita, in particular, makes up the Whale’s Tail, a rocky shoreline that can be seen at low-tide, as well as Marino Ballena National Park, named after humpback whales that migrate here each year during mating season. Though it’s more difficult to get to (and that’s the point), southwestern Nicoya Peninsula is an ideal choice for those seeking hip beach towns, where rustic unpaved roads are teeming with vintage SUVs, ATVs, bicycles, and young expats clutching their surfboards and yoga mats. Santa Teresa hits all of these marks, and its lengthy stretch of sea is alive with exceptional swells and killer sunsets, making this one of the best beach scenes in the country. If you want to skip the see-and-be-seen vibe, head to the sleepy beach hamlet of Mal Pais, Santa Teresa's quiet neighbor, or the small fishing hamlet of Tambor. This laid-back community is nestled in an open volcanic valley, and its beach, Playa Tambor, is an excellent location for swimming. Meanwhile, the bohemian town of Montezuma is tucked away at the bottom of a steep hill leading to quiet beaches where wildlife, such as monkeys, butterflies, and exotic birds, roams free. Heading north towards Guanacaste on better-paved roads (therefore attracting more tourists), notable beach towns of Punta Islita and Samara are worth a stop, as is Nosara, also famous for its surf and yoga scene attracting sophisticated, health-conscious travelers. With a long stretch of powdery sand, this is also one of the few coastal towns with barely any development on the beach. An hour’s drive from Liberia International Airport, this region is known for reliable sunshine and dry weather, attracting families who prefer modernity and convenience. Nicknamed the “Gold Coast”, main roads in this part of the peninsula are paved, unlike other parts of the region. Tamarindo is one of the liveliest beaches in Costa Rica with mainstream shops, restaurants, and a happening nightlife. It’s located on a string of beaches that are great for swimming, boogie boarding and learning to surf, with a number of instructors and camps based here. One of the more exotic beaches on the Gold Coast, Playa Conchal is comprised of crushed seashells instead of sand. It stretches for two-and-a-half miles and has some of the clearest waters in the region for snorkeling amongst tropical fish and stingrays. 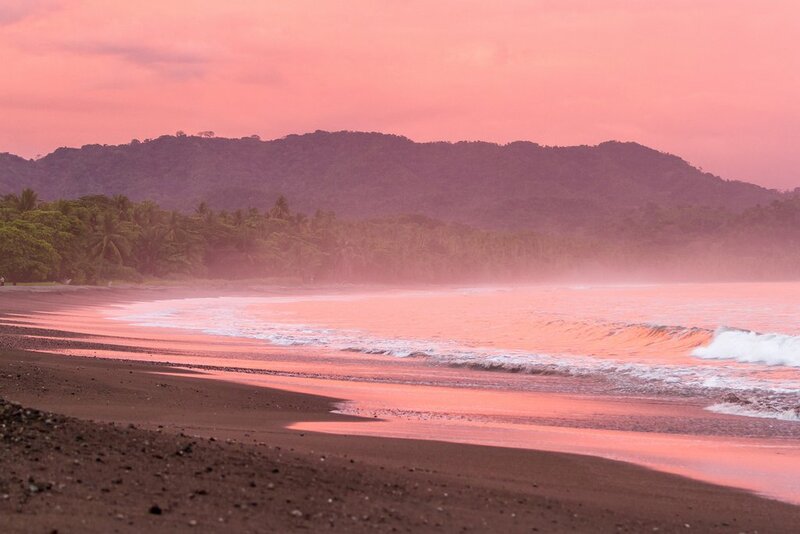 The neighboring beaches of Playa Brasilito can be reached by foot, while Playa Flamingo, one of the rare pink sand beaches in Costa Rica, is a 15-minute drive away. 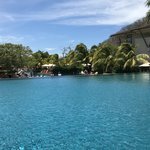 Most beaches in Costa Rica are public, but the luxury gated community in Peninsula Papagayo is home to the Four Seasons and Andaz Resort, with private residences, a beach club, golf course, and marina. Little inlets and coves line the bright green water of the Pacific here, making the beach views particularly stunning. On the northern side of the Caribbean coast is Costa Rica’s version of the Amazon at Tortuguero National Park, which is accessible only by air or water. This region is one of the wettest in the country with 200 inches of rainfall a year, hence the amazing biodiversity. It takes some patience to arrive, but once you’re there, you’ll discover a long, pristine beach, and a network of canals, lagoons, and wetlands. 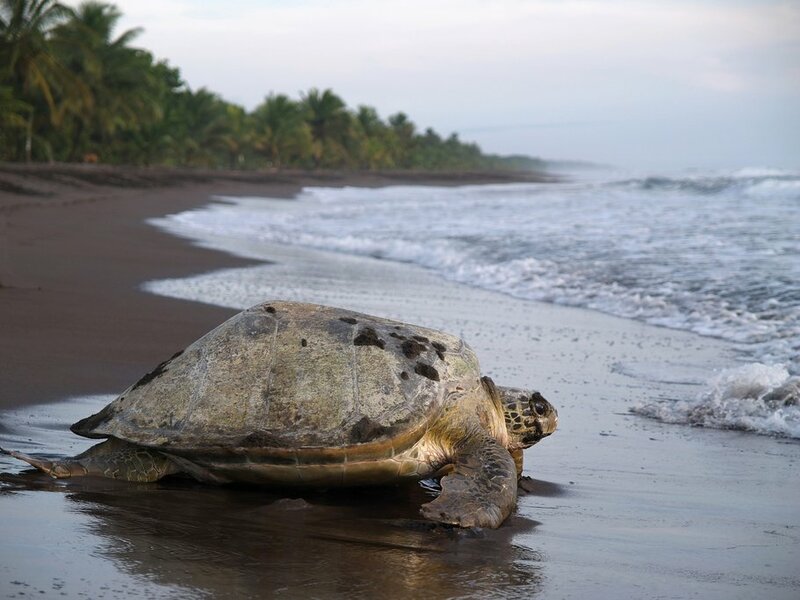 Four different species of sea turtles nest in Tortuguero each year laying their eggs from March through October. Endangered green sea turtles, in particular, can weigh up to 400 pounds and lay up to 700 eggs per season. In this region, you will be treated to Costa Rica’s increasingly visited (but still largely undiscovered) Caribbean beach culture. A natural entry point is the charming fishing village of Puerto Viejo de Talamanca with nearby beaches that are peaceful and temperate year-round. Head north of Puerto Viejo for vibrant turquoise and emerald green waters at Cahuita National Park, also the home of a 600-acre coral reef. Bring your own snorkel gear as there are several hiking trails leading to different beaches with regular monkey, sloth, iguana, and parrot sightings. South of Puerto Viejo are notable beaches like Punta Cocles (great for surfing), Playa Chiquita and Playa Grande. Even further south is Manzanillo, a hidden treasure found near the Panamanian border with soft white sand and stunning blue water surrounded by lush vegetation. Protected by the Gandoca Manzanillo Wildlife Refuge, the coral reef attracts snorkelers and scuba divers. The wild and untamed beaches on Osa Peninsula are secluded and virtually untouched. Corcovado National Park offers 23 miles of coastline—the region’s biggest—with black sand fronted by thick tropical rainforest. You likely won't run into other travelers here; swim with caution as schools of hammerhead and bull sharks are common. Found on the northern side of the peninsula is the rustic village of Drake Bay, with several tiny, unnamed beaches. 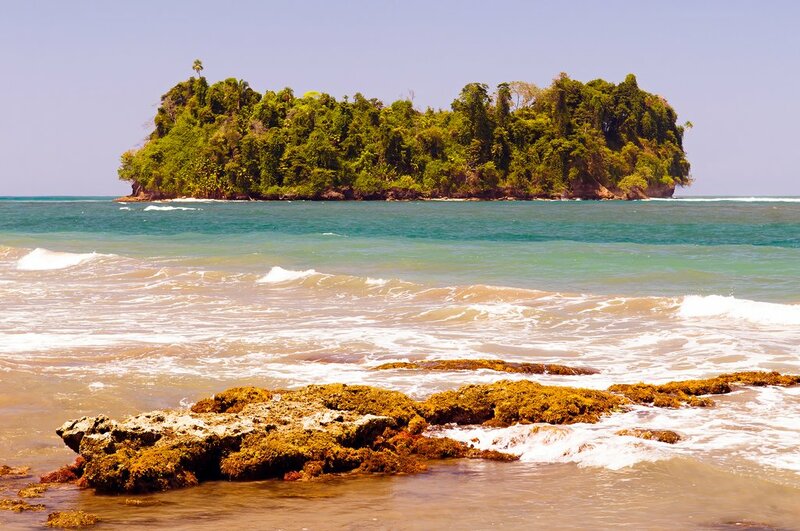 On the other side of the peninsula is Puerto Jimenez, a picturesque bay with some of the calmest waters in the country. From here, take a dive or snorkel tour to Cano Island Biological Reserve to see an abundance of marine life like pufferfish, turtles, manta rays, moray eels, barracuda, and more.